Fred Perrin is a former French Army Commando, a national Tae Kwon Do champion, a European full-contact stick fighting champion, and one of Europe’s most sought-after close-combat and self-defense instructors. He is also an accomplished custom knifemaker and craftsman, specializing in his own uniquely functional designs optimized for military and personal-defense use. Perrin’s original FB04 Street Bowie was one of Spyderco’s earliest fixed-blade collaborations. Its versatile Bowie-style blade offers both power and finesse, making it suitable for a wide range of cutting chores. 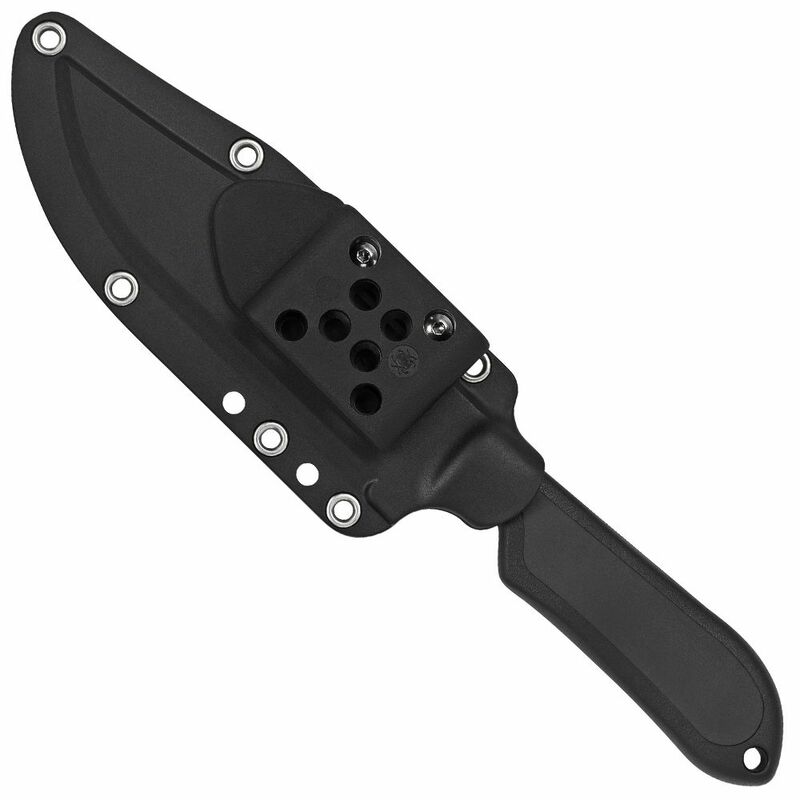 The injection-molded fiberglass-reinforced-nylon (FRN) handle features hand-filling contours and molded Kraton inserts that, together with the deep index-finger choil, literally lock the knife into the user’s hand for superior control. 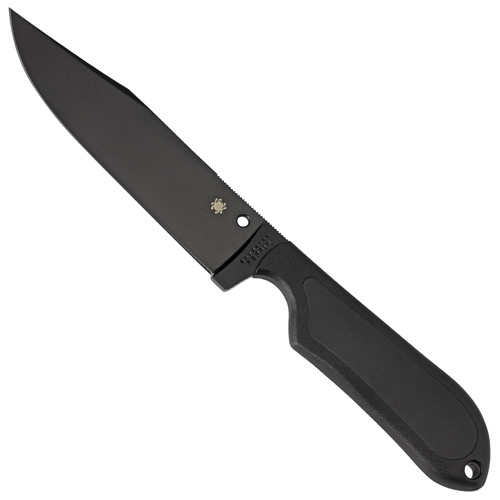 Long a favorite among savvy knife users worldwide, the Street Bowie is now back by popular demand. Like the original, the current version boasts a flat-ground VG-10 stainless steel blade. In classic Bowie style, it features a straight clip point that centers the tip on the knife’s centerline for maximum control and penetration. An extended section of jimping (textured grooves) on the spine of the blade mates seamlessly with a molded, textured panel on the handle for additional security and control. To reduce its reflective properties, the blade has a durable black ceramic coating. The Street Bowie is an incredibly versatile knife that is ideal for both utilitarian and personal-defense applications. It is also a reflection of its designer, Fred Perrin, and his exceptional understanding of functional simplicity.